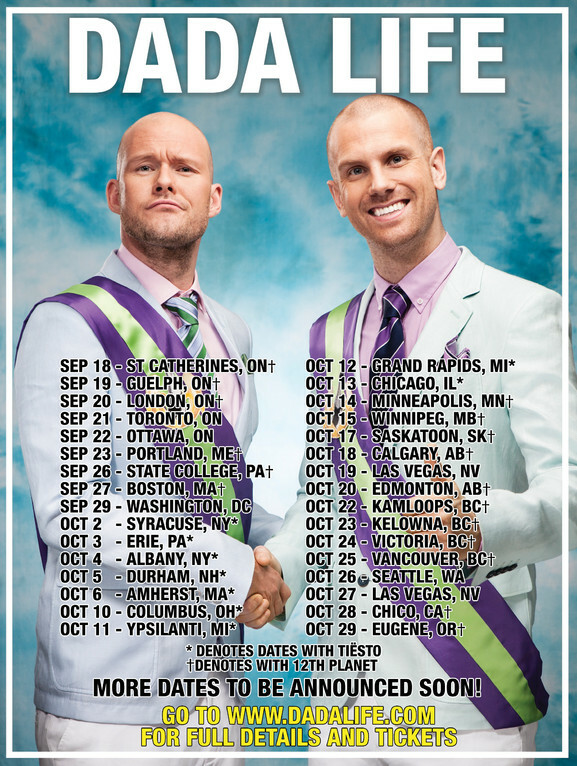 Dada Life may have carved out a niche all their own. Their live show is something to behold; complete with champagne sprays, banana balloon drops, sausage tossing and those Dada’s banging their heads to the beats. Fans add to the craziness of a Dada Life show by “Doing The Dada” and showing up in full banana body suits and by bringing along creative props.